Wildlife experts are submitting a licence application to release 10 beavers in the south of the country and hope the reintroduction could begin this year. The Scottish government recently decided to list beavers as a protected species after a successful trial reintroduced the animals into the wild and a pair were also released on the Otter river in Devon in May. The animals were hunted to extinction in Britain in the 16th century, but the five-year Scottish beaver trial established a group in Knapdale Forest in Argyll. 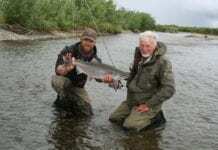 Another population emerged on the Tay river following illegal releases a decade ago. Beavers have been living wild on the Otter for up to a decade, but are now part of an official five-year trial by Devon Wildlife Trust. Alicia Leow-Dyke, the Welsh beaver project officer for the Wildlife Trusts Wales, said there would now be a public consultation. A first application was made to Natural Resources Wales a year ago. If the application is not opposed, the project hopes to start releasing animals in 2017. The beavers could help with habitat restoration, bringing light into overgrown areas and allowing other nature to thrive, she said. “With the beaver you’re not looking at a single species. It can have such a wider benefit helping the ecosystem. Because we’ve had such a detrimental effect on the landscape for so long, this can help,” she said. 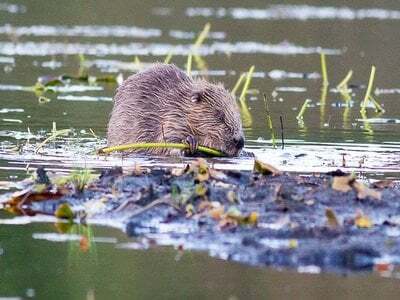 Farmers and anglers have argued that beavers damage the landscape and affect fish migration, and have called for conservation efforts to be focused on the UK’s existing wildlife. Leow-Dyke said there was evidence from Europe that beavers’ negative impacts could be managed and the scheme would have a net benefit. The enjoyment factor of seeing the creatures in the wild and easy-to-spot field signs of their presence could be used to encourage children to explore the natural world, she said.